This article is about Scorched Island, not to be confused with Scorched Earth. 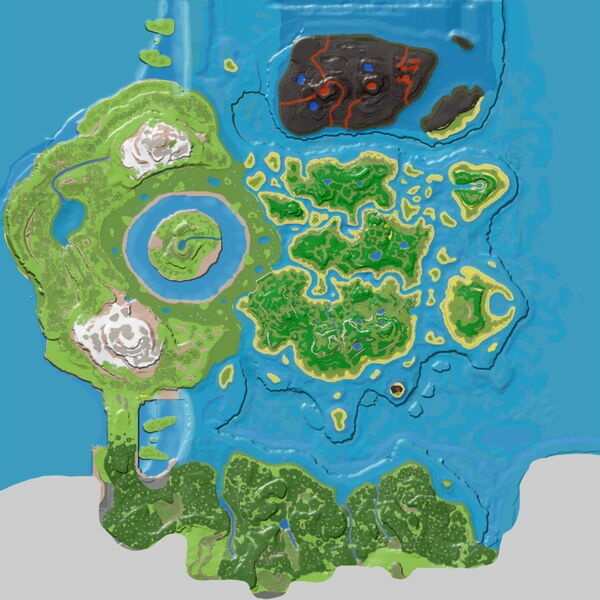 Scorched Island is a small, unofficially-named island to the northeast of the Lava Island in the DLC: The Center. The smallest of the three northern islands containing the Lava Biome, Scorched Island is a curious case as no creatures spawn here. The scorched trees may be harvested directly for Charcoal. This page was last edited on 27 September 2017, at 21:57.